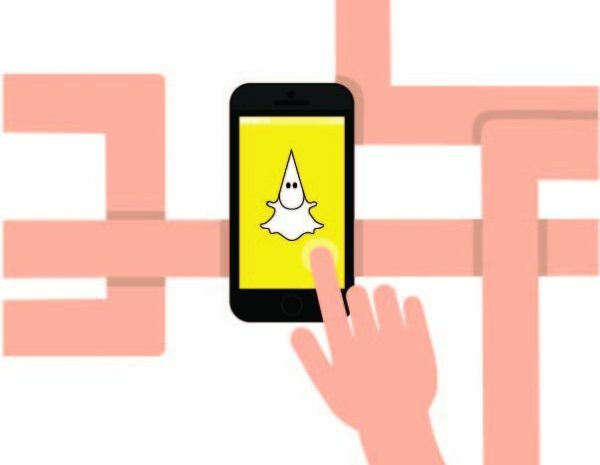 After five Mary Institute and St. Louis Country Day School (MICDS) freshmen were expelled over racial slurs exchanged on Snapchat, it became evident that social media use can negatively affect a school environment. TKC believes public school students should be held accountable for irresponsible social media activity with 90.5 percent (76/84) of our staff agreeing with federal law allowing public schools to take action if said activity interferes with the school environment. The number one breeding ground for high school drama isn’t the cafeteria, the library or the commons. It’s social media. Most rational high schoolers won’t post discriminatory posts or bullying attempts on their Instagram feed or Snapchat story, but with the option of private messages, some students send them directly to others. And with the press of a few buttons, those once private messages can become public on another person’s Twitter. In the case of MICDS, the publicity of students’ use of the N-word and references to the Ku Klux Klan (KKK) caused an uproar both online and at school. Since KHS is a public school, it falls under federal law when it comes to irresponsible social media use. According to the Mo. School Board Association, public schools cannot discipline students for their posts or messages if it stays on social media and doesn’t interrupt the school environment. But as soon as someone brings it to an administrator or the student body, federal law allows the school to jump in and punish the student responsible. And that’s how it should be. Clayton High School (CHS) showed how public schools can take disciplinary action in December 2016 when a group of students posted anti-semitic comments on an Instagram photo. Angry and concerned parents flooded the next Clayton school board meeting and the incident made the news. Soon after the uproar began, CHS Principal Dan Gutchewsky sent a letter to inform parents that the students responsible for the anti-semitic content were disciplined, though details remained confidential. Social media can work as a connector, an educator and an exposé of what people are really thinking. Direct messages and comment sections see more hate than would ever come out of a person’s mouth, usually unfiltered. Obviously, schools don’t protect this kind of free speech in its halls, so it shouldn’t make a difference if it’s said aloud or on a screen. Racial slurs are racial slurs. Bullying is bullying. Hate is hate. It doesn’t matter where it comes from. Once it enters the school environment, it compromises the positive values that run education. Inappropriate social media use has no place in the classroom, and those who wage their wars on social media should be held accountable if it leaks into the school.